BRASILIA, Brazil, October 18, 2012 (ENS) – President Dilma Rousseff has vetoed nine items of the Forestry Code approved by Congress in September. One of the vetoes cancels amnesty for those who cleared the rainforest illegally. “There are nine vetoes which follow the principles of not granting amnesty, not stimulating illegal deforestation and ensuring social inclusion in rural areas regarding the rights of small land owners and family farmers,” explained Environment Minister Izabella Teixeira. “The discussion of the Forest Code within the Federal Government was guided by these three principles,” said Teixeira, who presented the vetoes at the Presidential Palace late Wednesday together with Brazilian Attorney-General of the Union, Luís Inácio Adams. The main thrust of the vetoes removes the flexibility that lawmakers had wanted for landowners who are required to restore forests on permanent preservation areas along riverbanks. Rousseff returned to the law the so-called rule of “ladder,” which imposes higher recovery obligations on landowners with larger properties. The “ladder” determines that farmers will have to recover between five and 100 meters of native vegetation on permanent preservation areas along riverbanks. The size of each reforestation area will depend on the property size and the width of the rivers that cut through the property. The larger the property, the greater the landowners’ reforestation obligations. The president ruled out the text included by lawmakers that would allow the reforestation of five meters in permanent preservation areas along intermittent rivers of up to two meters wide for any size property. Rousseff also vetoed the possibility of reforesting the permanent preservation areas with monoculture plantings of “exotic” fruit species such as oranges and apples instead of planting native trees. “We will not have permanent orchard areas, as some said,” Teixeira declared. The Presidential Decree published today in the Official Gazette detailing the vetoes also fills the gaps in the law they created, including details on the rules for the Rural Environmental Registry and for the Environmental Restoration Program. 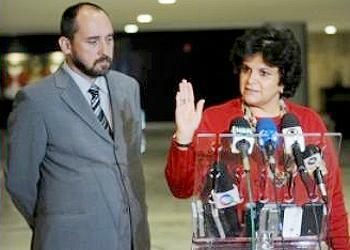 According to Teixeira, ministerial decrees or acts will be needed to regulate other parts of the text. “Other acts, not necessarily decrees, but regulations are needed to the Code,” she said. Teixeira said the vetoes were precise, only recovering the principles that were in the government’s original Forestry Code proposal. The environmental group points out that even with the vetoes the Forestry Code allows lower standards of reforestation for those who cut trees illegally before 2008. Over the past 50 years, the Amazon has lost more than 720,000 km2 of forest cover, an area equal to the areas of the states of Rio de Janeiro, Espirito Santo, Rio Grande do Sul, Paraná and Santa Catarina, said Astrini. Greenpeace maintains that the rainforest is essential to ensure a balanced climate, biodiversity conservation and livelihoods of millions of people who directly depend for their survival on on the forest and the rains it brings. The environmental group says that Brazil can double its food production, without deforesting another hectare just by utilizing land that is already cleared. There are currently more than 30 million hectares of land degraded by livestock that is unproductive, Astrini pointed out. 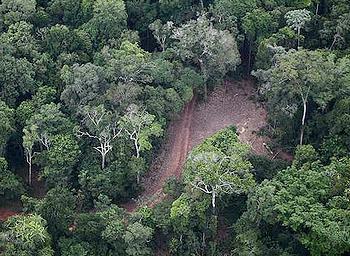 Greenpeace is urging the public to sign its petition to the government to write a law of zero deforestation for Brazil. This popular initiative already has the support of nearly 600,000 people who have signed the petition.